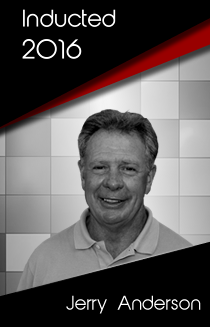 Jerry Anderson is currently a PGA of Canada Class A Teaching Professional at Credit Valley Golf & Country Club in Ontario. Jerry played on the European Tour through most of the 1980’s, winning the 1984 Ebel European Masters – Swiss Open by shooting a 27 under par total of 261. In 1991, Jerry won the Ben Hogan Texarkana Open (currently the Web.com Tour). Among many accomplishments, Jerry represented Canada at the Alfred Dunhill Cup in 1985 and at the World Cup in 1983, 1987 and 1989, and was the Canadian tour Order of Merit Winner in 1980, 1982 and 1989. Jerry was inducted in the Ontario Golf Hall of Fame in 2002.